UBC's sustainability efforts can be seen across every corner of campus, and campus tours at UBC are a great way to learn about sustainability in action. Try out our self-guided Sustainability Walking Tour, or book a Green Building Guided tour. 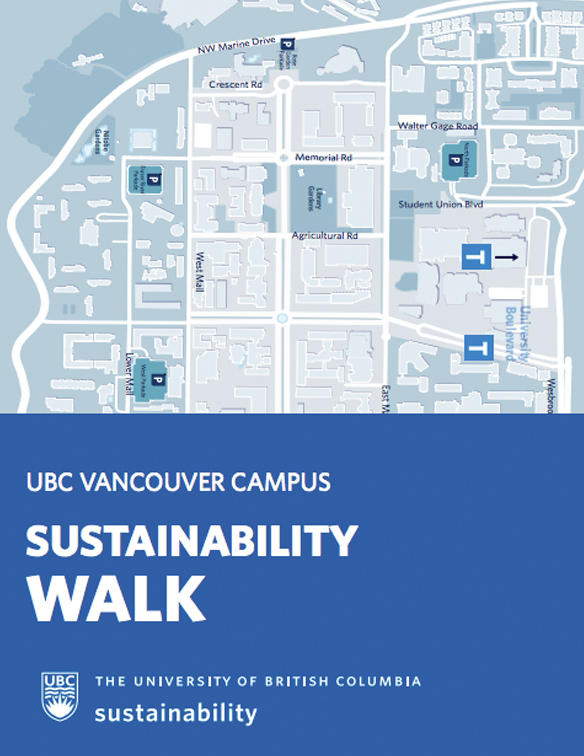 Our self-guided Sustainability Walking Tour will lead you to several spots on campus that showcase our sustainable buildings, and our commitment to enhancing human and environmental wellbeing. By incorporating sustainability features across our campus, we aim to inspire our community of students, faculty and staff to make sustainability a part of their daily lives. Please note: The tour is designed to be printed 12 inches by 18 inches double-sided, and folded length wise, in quarters. UBC offers free tours for a number of our green buildings. Explore the tour options below, then select “book a tour” to learn all about the innovative features of our most sustainable buildings. 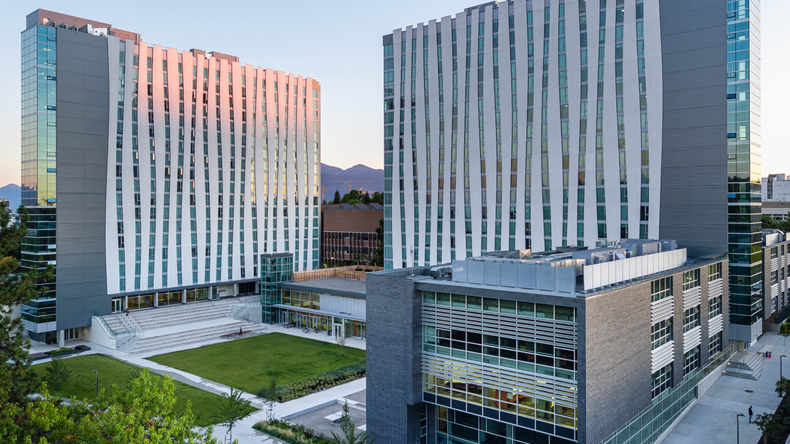 The AMS Student Union Building, also known as The Nest, officially opened in the summer of 2015 and is expected to be UBC's second LEED platinum building, incorporating elements of the Living Building Challenge also. The project forms a central piece of a new public square at the entry to UBC and is designed to be extremely energy-efficient. Design strategies place a priority on minimizing consumption through the use of a high-performance envelope, natural ventilation and daylight harvesting with the use of rainwater collection as one of the means to reduce water use significantly on the project. An intensive Integrated Design Process was used to establish the design for this project and involved the students and UBC representatives for project charrettes and project management meetings. 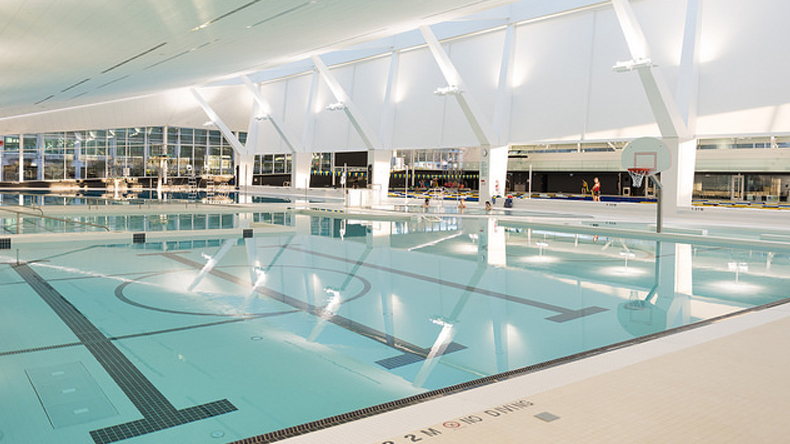 The UBC Aquatic Centre has recently opened in the spring of 2017. It serves as an elite training centre for UBC Thunderbirds Varsity Swimming, as well as an enjoyable amenity for students and the community. This building is currently applying for its LEED Gold Certification, as it utilizes many sustainable innovations, such as a hydronic heat system using district energy and using rainwater to supply 85% of the pool water. The UBC Bioenergy Research & Demonstration Facility (BRDF) is a unique combined heat and power (CHP) facility on campus that can produce both clean, renewable heat and electricity. The facility’s gasification technology uses tree trimmings and wood chips diverted from local landfills, and offers a platform for bioenergy research aimed at reducing greenhouse gas emissions and fossil fuel consumption. The BRDF is also one of the first buildings in North America to use cross-laminated timber (CLT), a solid wood building system, on an institutional building of this size and scope. 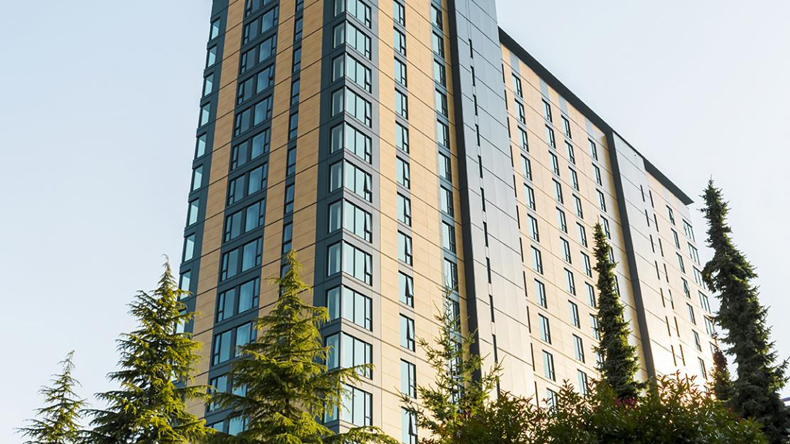 Brock Commons residence is currently the tallest wood building in the world and home to 404 students. 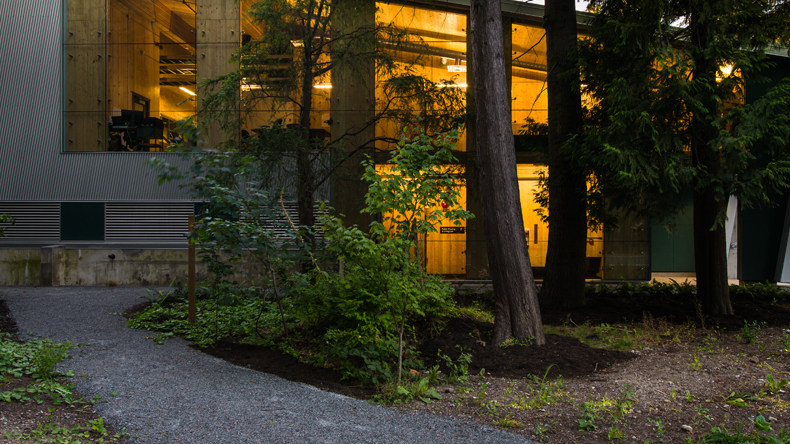 Consisting of a mass-timber structure upon a concrete base, the residence stands at a height of 53 meters and demonstrates BC’s innovation in wood products and, further, UBC’s reputation as a hub of sustainable and innovative design. The tour will highlight the use of mass timber products, explain the design process and explore the significance of the project to both campus and building design around the world. The C.K. Choi Building for the Institute of Asian Research set new green building benchmarks worldwide when it opened in 1996. 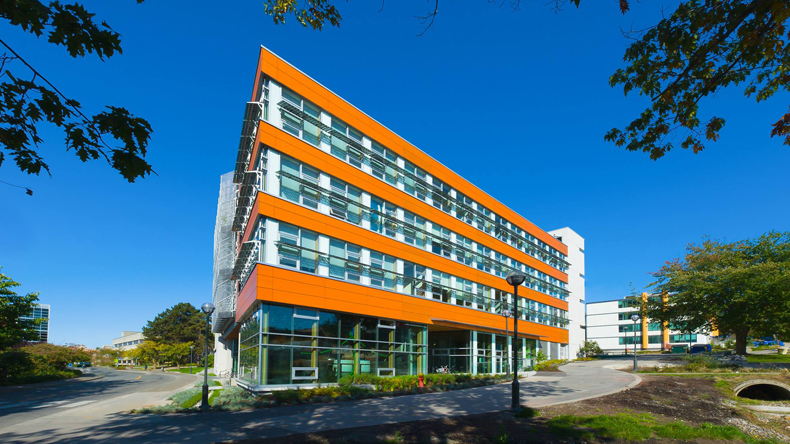 As UBC’s first green building, it uses about 23 per cent less energy than a standard building. Fifty per cent of its building materials came from former buildings and streets. The C.K. Choi Building also features composting toilets, which do not require water for flushing. Rainwater from the building roof is collected and used for irrigating the landscape. At UBC, the entire campus works as a sort of giant laboratory. For Campus as a Living Lab projects, building operations are integrated with on campus research to bring together students, staff and faculty to test and apply innovative ideas at UBC. On this tour you will experience the Centre for Interactive Research on Sustainability, the Bioenergy Research and Demonstration Centre, and the Campus Energy Centre. You will gain insight into how these buildings used past research and are currently developing new research to improve sustainability on campus and beyond. The Centre for Interactive Research on Sustainability (CIRS), opened in November 2011, is designed to be the most innovative and high-performance building in North America. This state-of-the-art regenerative building includes waste heat recovery from a neighbouring building, a solar energy system, ground-source heating and an on-site wastewater treatment system. 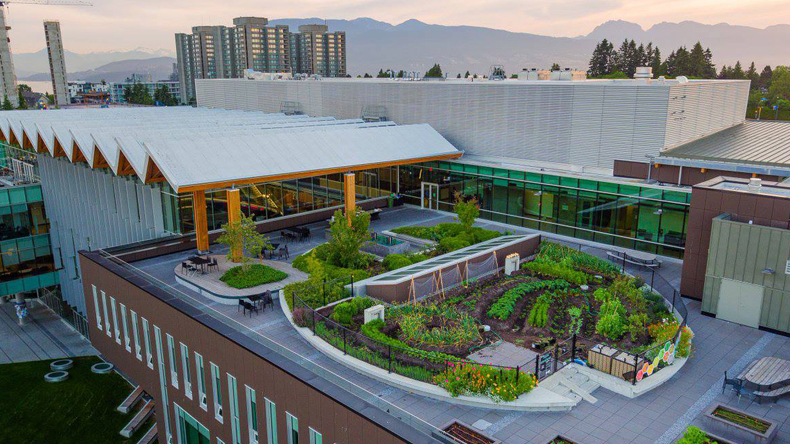 CIRS has been awarded LEED Platinum certification, the highest designation in green building performance from the Leadership in Energy and Environmental Design rating system and the first for the University of British Columbia. 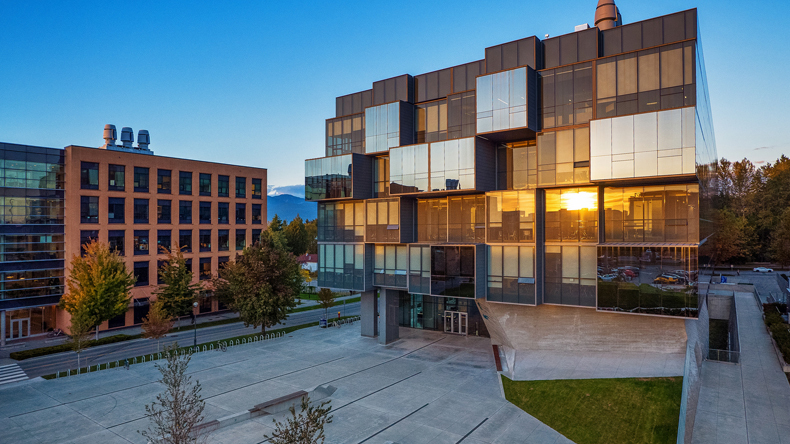 Designed to inspire collaboration and creativity across academic disciplines, the new Earth Sciences Building (ESB) lies at the heart of the science precinct on UBC’s Vancouver Campus. The five-storey cross-laminated timber (CLT) structure is organized into two wings that surround an atrium with a free-floating cantilevered solid timber staircase. Some of the unique features of the ESB include a high efficiency envelope, high performance glazing, a thermal energy exchange system and a system that manages all the storm water that falls onsite. A unique element of this building is the double-height research lab space, which contributes to the museum-display component of the project as well putting science on display. 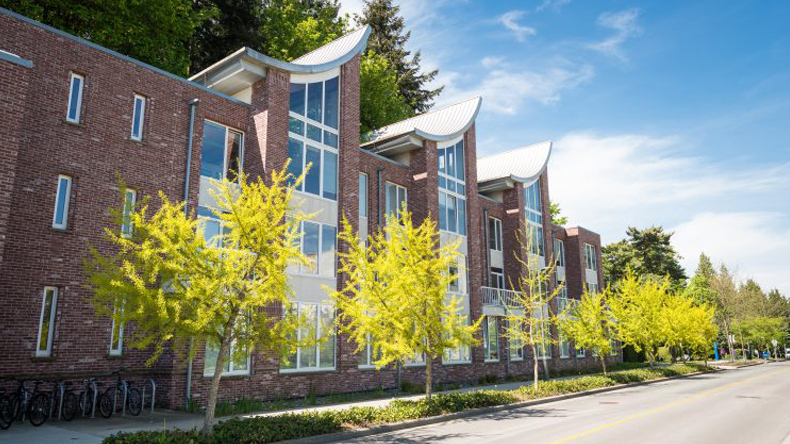 Orchard Commons is the second of five mixed-use "hubs" planned for UBC's Vancouver Campus. Combining student housing, academic uses, and amenities into one facility, the intent is to promote diversity and social connection by bringing more activity and life to the heart of campus. 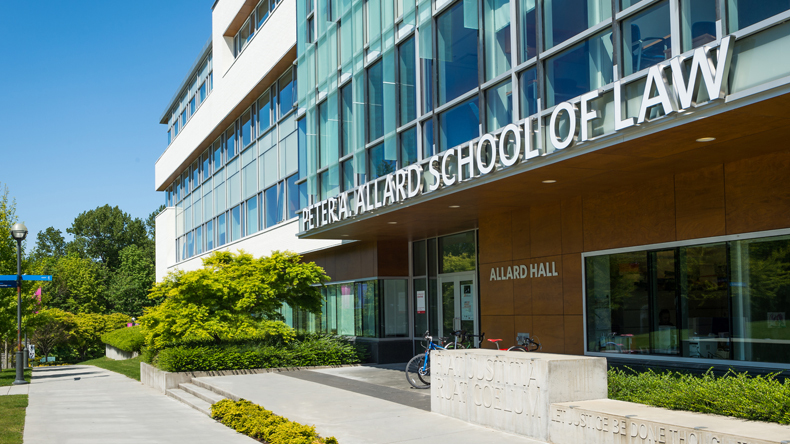 The Peter A. Allard School of Law is home to both the Law School and the Law Library at UBC. Opened in 2011, the building is designed to be adaptable to the needs of law students through flexible spaces such as the transformable main atrium while also incorporating sustainable design features such as geothermal heating and cooling as well as energy-efficient displacement air ventilation. The recipient of the RAIC Governor General’s Medal in Architecture, The Faculty of Pharmaceutical Sciences and Centre for Drug Research and Development is one of the newest projects on campus, completed in September of 2012. Located at the south east part of the campus, the iconic building helps form a gateway to the campus. At the same time, taking design inspiration from nature, the interior of the building is inspired by the form and function of a tree. Two central trunk-like atria provide the possibility for natural lighting and ventilation to service the laboratory and classroom spaces distributed through the building. Other key building features include an extensive heat recovery system and a high-performance building envelope. 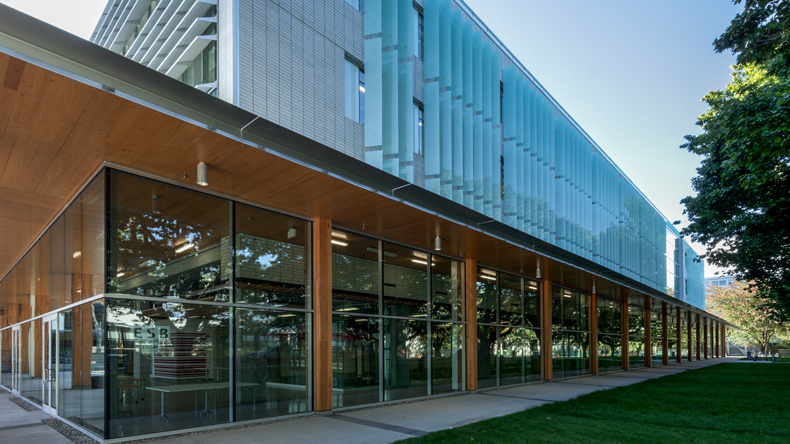 Explore the buildings at UBC that have helped pioneer the increasingly-popular practice of wood building construction. From faculty buildings and residences to power plants and the Centre for Interactive Research on Sustainability itself, this tour highlights a diverse selection of our green buildings. Tour covers CIRS, Earth Science Building, BRDF and Brock Commons Tallwood House. Fill out a Green Building Tour Request Form and list the buildings you’d like to tour under the additional comments. Please limit the number of buildings to four or less and mention how much time you have. Walking tours are subject to availability of tour coordinators, so some flexibility is required. We’d love to know how your tour went, and hear your suggestions for improvement. Please consider filling out our quick feedback form and letting us know.